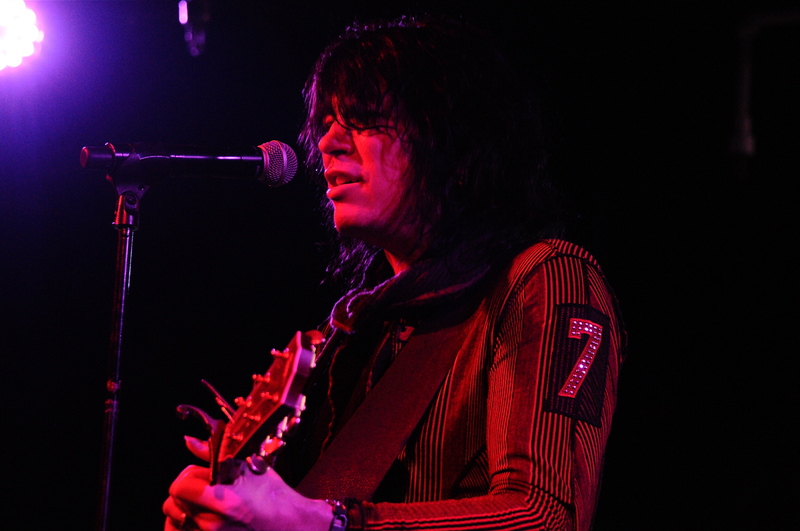 It took four months but Tom Keifer was true to his word and finally graced the stage at Cleveland’s legendary concert club Peabody’s on Tuesday evening. Originally tapped to play a show there in February, Tom told the crowd during the first break, that no one would have wanted to hear him sing as he was really under the weather that day during the first leg of his solo tour. “Sick For The Cure”, one of Cinderella’s most underrated gems kicked off things in tremendous fashion. The set that featured several tracks from Tom’s solo album The Way Life Goes alongside songs from Tom’s other band-Cinderella. A four song acoustic segment began with a totally different take on Cinderella’s “Shake Me”. The song was stripped down and was performed with a bluesy structure to it which made it seem totally different albeit having the same lyrics. Tom’s wife Savannah came out to perform background vocals a few times during the night. She also co-wrote several tracks on Tom’s solo album as well was a producer. The highlight of the acoustic portion was “The Flower Song”, one of the outstanding cuts from The Way Life Goes. The main set ended with “Coming Home” and “Shelter Me” two Cinderella tracks that had the crowd singing along and ended the show with an uplifting moment. Back for a quick encore Tom chose to delve out The Beatles “With A Little Help From My Friends” before leaving the crowd with a vigorous take on “Gypsy Road”. Tom’s touring band was solid and consisted of several known players from Nashville including guitarist Tony Higbee, bassist Billy Mercer (Ryan Adams) drummer Paul Simmons and Paul Taylor (Winger, Alice Cooper) on keyboards. Keifer gives it his all each time he takes a stage. He throws his heart and soul into each performance and leaves everything he has on that stage. It is hard to believe with all his talent that The Way Life Goes is just his first album of all new material since 1994s Still Climbing release with Cinderella. Do not miss this show if they are playing anywhere near you, as you will surely regret it down the road. Former Mötley Crüe singer John Corabi played an all-too quick acoustic set that saw him perform some songs from his former band. He also played a few songs from his earlier band The Scream. He couldn’t decide what to end his set with so he chose to satisfy everyone by playing one verse of “Robin’s Song” from Union and one verse of The Scream’s “Man In The Moon”.